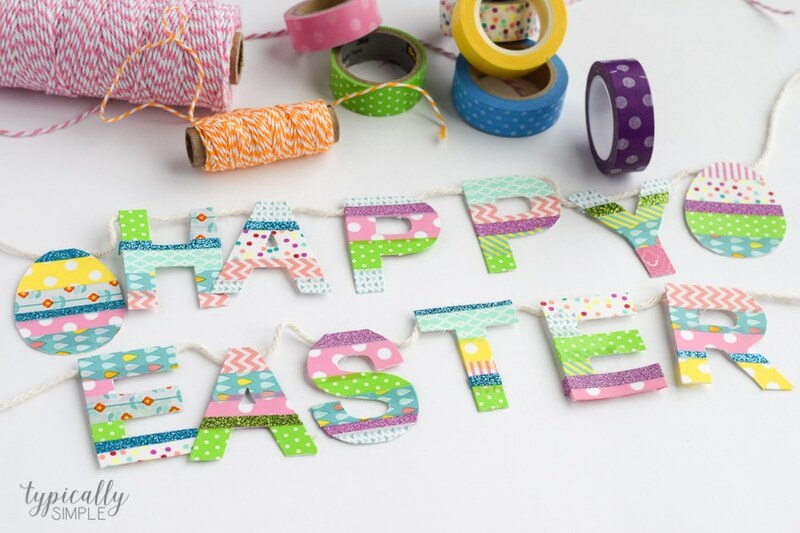 A great way to use up some of that washi tape stash, this Easter banner is a fun addition to your spring decor! After replenishing my washi stash a few weeks ago, I’ve been racking my brain for some projects to make. A while back, I made a fun art print where I placed strips of washi on paper then used a cut out overlay of a word so that the washi would show through. 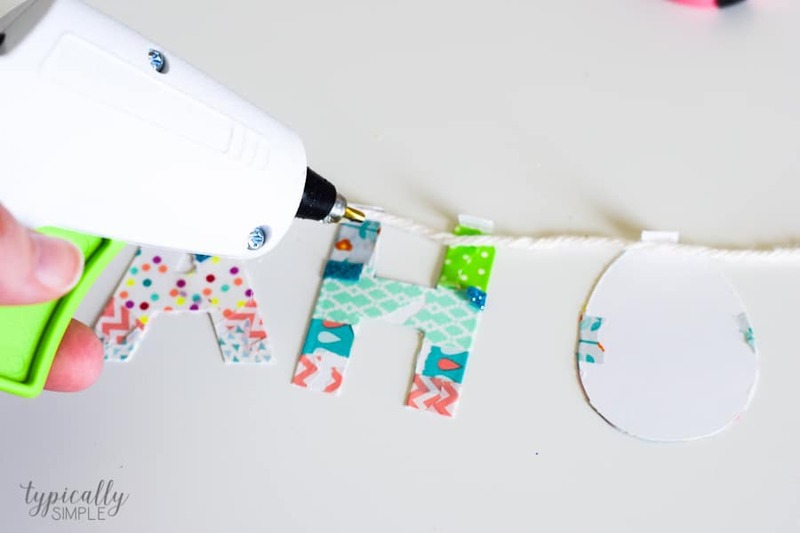 So I thought, why not try making a banner but just wrapping the letters with washi instead! 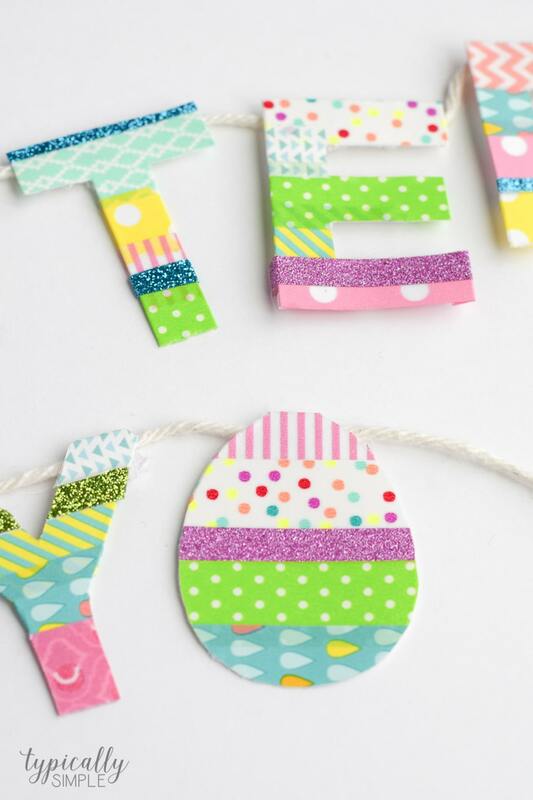 And with Easter right around the corner, I decided to make a spring inspired, little banner to hang on our bookshelf. 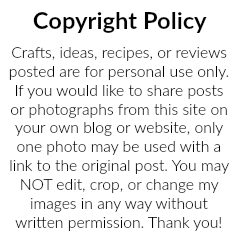 It would also look super cute hanging on a mantel or even across an empty picture frame. I decided to use my Silhouette Cameo for this project, since it would be a little faster than cutting all of the letters out by hand. But I’ve also included a PDF version of my banner in case you don’t have a Silhouette. 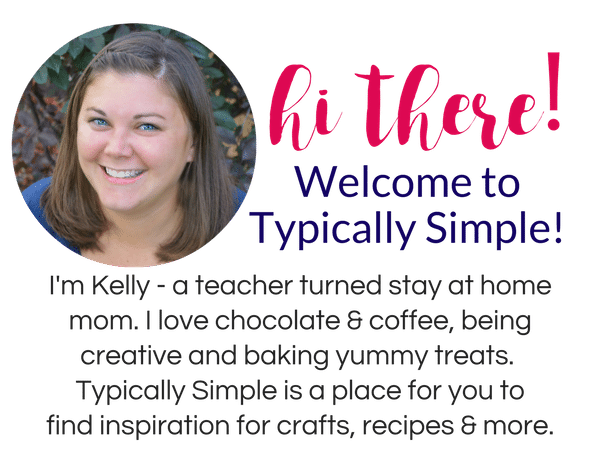 You will want to make sure you print out the design on card stock to make it a little sturdier. 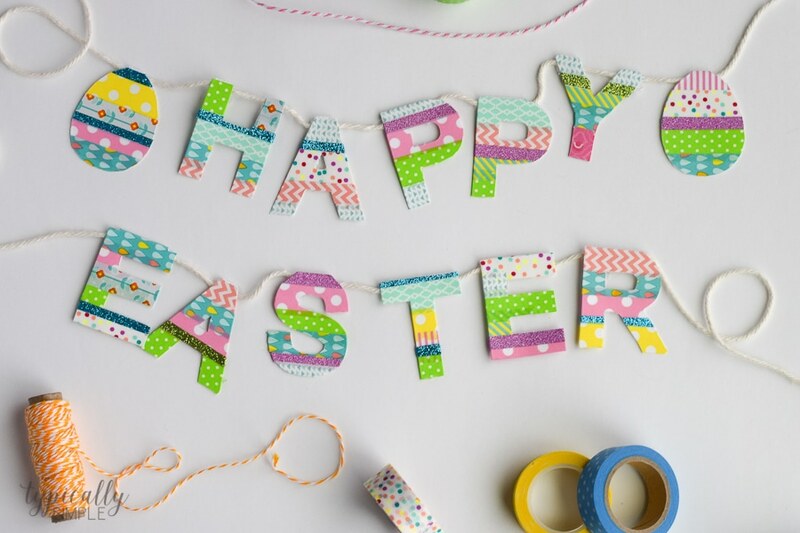 So using my Silhouette, I cut out all of the letters and a few egg shapes for my banner. I created little tabs on the top of each letter when I was designing this project to make it easier to attach to twine when putting together the banner. Then I decided on the patterns and colors of washi tape that I wanted to use and got to work! When I first started the project, I was trying to wrap the washi around to the back of the letters, but this didn’t always work with the curved shapes. 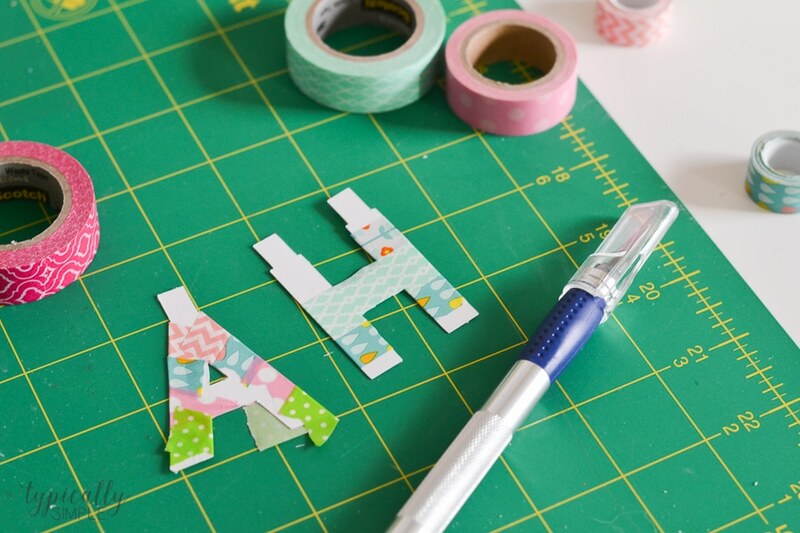 I found it easiest to lay the strips of washi across the front of each letter, then I used an exacto knife to cut around the shape to trim off the excess washi. Since the knife is pretty sharp, I used it on my self healing mat and it worked perfectly! After all of the letters were covered in washi, I folded over the little tabs and started gluing each letter to the twine. A little tip: use a popsicle stick to hold down the tab while the glue dries to prevent hot glue gun burns! 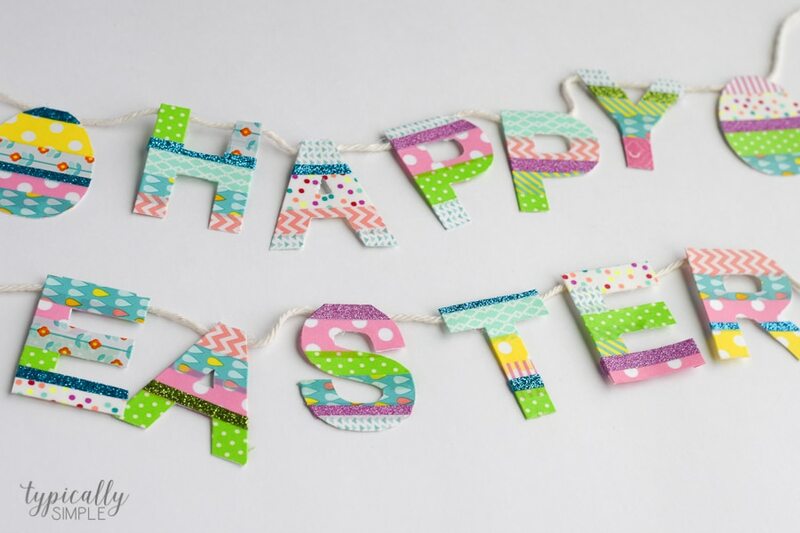 I decided to break up Happy and Easter into two little banners, but you could create one long banner with all of the letters, especially if you have a long mantel. I also added two little Easter eggs to either side of Happy to make it extra festive. And I included three eggs in the free design for you to use however you want! 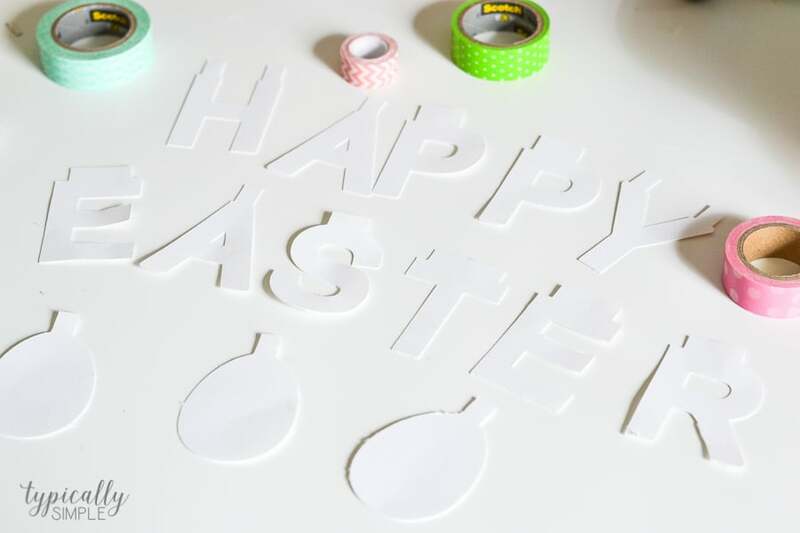 A simple project that is perfect for adding some spring inspired colors & patterns to your Easter decor! 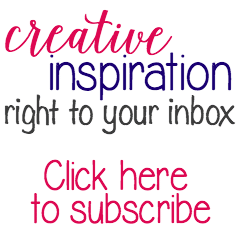 Plus a great way to make a dent in that washi tape stash!